A Bit of all – white….. 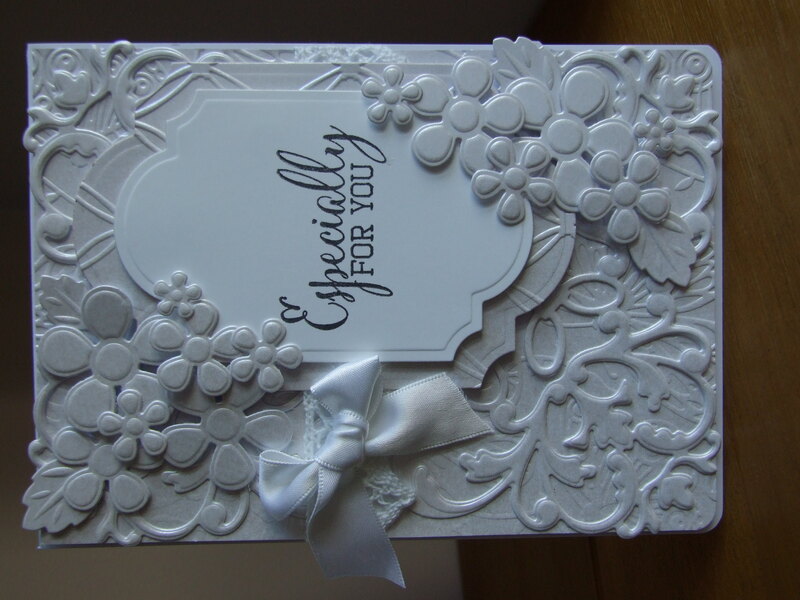 I used… Centura white pearl card, Tattered Lace Butterfly and Lattice Embossing Folders, Anna Griffin, Spellbinder and Creative Expressions Finishing Touches Camellia Dies, Lace and a Clearly Besotted Sentiment stamp. < Previous Relax, unwind and drink wine…..
Next > “It’s a Girl!”……. 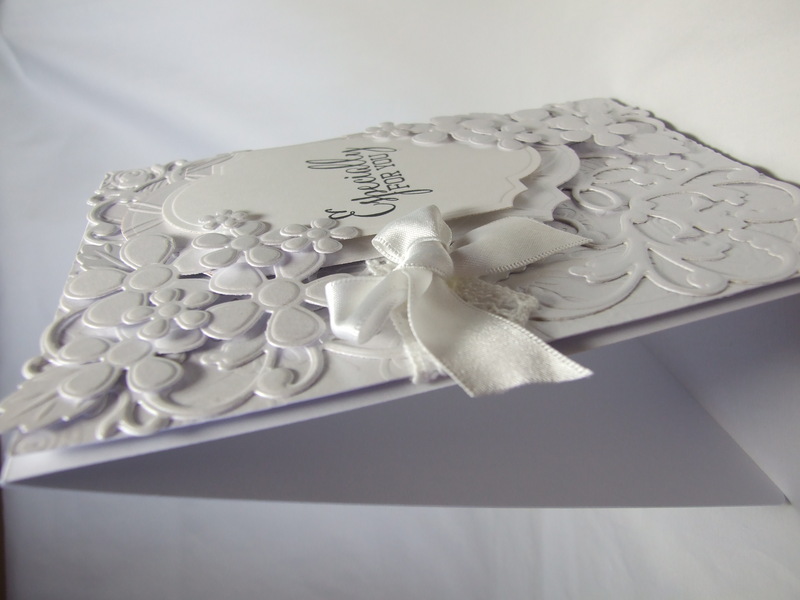 I love white on white cards and this one is fabulous! This is absolutely gorgeous! Beautiful tone on tone design and detailing! Wow, what lovely layers of white on your card! So elegant. Love it! oh my, the white on white with all that texture? gorgeous! This is beautiful! The texture is just lovely. Now I have to go back and check out Maria’s. I missed it. Your photos are great. My tip (to everyone) is use a photo editing software after. You may already. Photobucket and PicMonkey both work for me. My photos always need to be cropped and straightened a bit. Wow, your card is absolutely gorgeous! Such a beautiful masterpiece! The texture and pearl card are so gorgeous!! STUNNING! an absolutely beautiful creation, WOW!